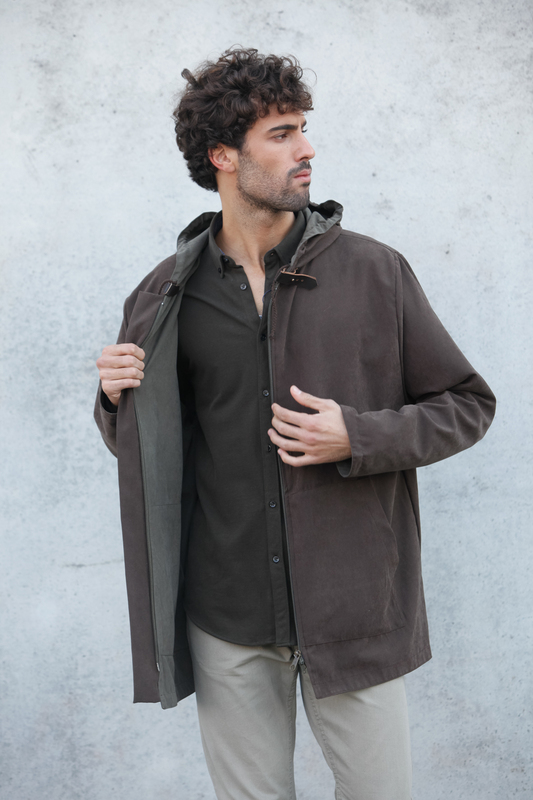 Hooded waterproof coat jacket, reversible, very light fabric with a velvety “peach” touch. Fit for wearing over coats, coat jackets, and others. Details: Reversible. Closed with a double zipper. Collar with storage space for the hood. Hood with laces. External pockets. Fits to 38 to 46, in case of doubt check the item measurements. Due to the measurements taken by hand, a difference of more or less 2 cm/1 inch may exist. These measurements are information purposes only to help you choose your size. We suggest that you take your measures before purchasing, please measure according to the following guide below.